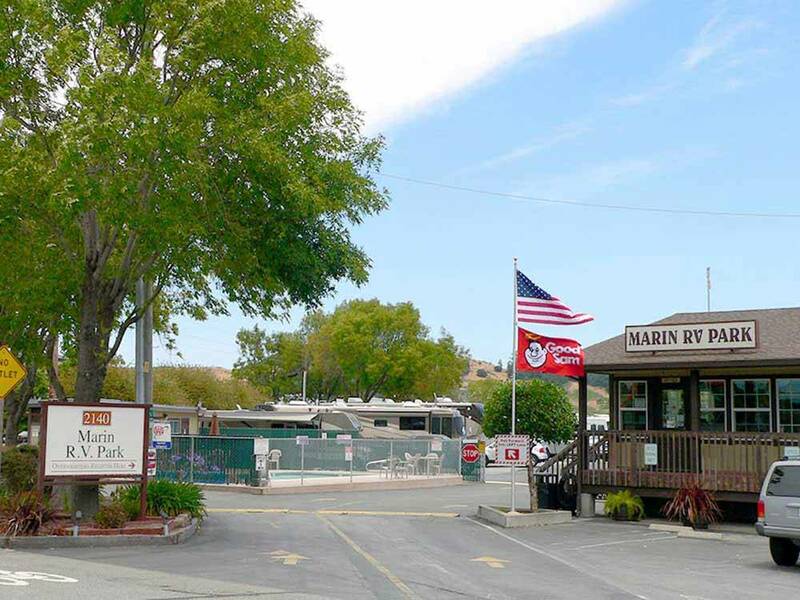 We are the closest RV Park to San Francisco and 10 miles north of the Golden Gate Bridge. A ten minute walk from the Bus/Ferry to San Francisco. Ride the Trolley Cars, trek to the Muir Woods, Pt Reyes, Napa Valley and more. Plain and simple, this is a cement parking lot. Sites are small but usable. The staff was awesome, super friendly and helpful in telling us where to go and what to see. Great location but if you are looking to camp, this is not the place for you. 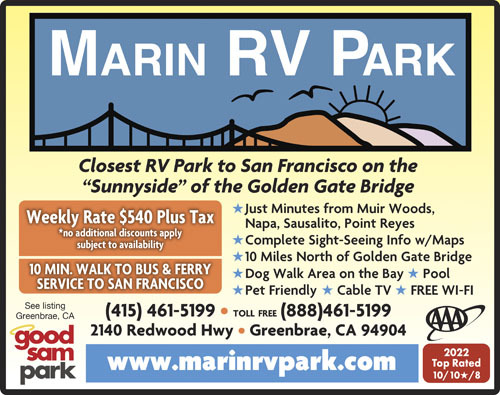 If you are looking for a convenient location to ride the ferry to SF or to see the other local sites, it will work. Would stay here again only because of the location and the great staff. The park has paved loop road with gravel sites. There are no trees or shrubs at the sites and the sites are separated by railroad ties and all back in. The dog walk area is at the east end of the park and is the side of an old rail bed so is generally uneven and not fenced, you must keep you dog on a leash. The park is well situated for access to the Larkspur Ferry to San Francisco, about 1 mile walk. From the park we took day trips to San Francisco, Sausalito, Sonoma, Napa, and Stinson Beach. The best thing about the park is its central location. The staff was very friendly and helpful in planning our activities in the SF area. I stayed in space J3. The internet and cable TV worked fine. Restrooms were dirty and were not cleaned except to dump trash in the 2 days we stayed. Mentioned this to the office and they made light of it. One of the office people was very helpful regarding local knowledge, 2 others were less helpful.